Grow Your Business. Sponsor an Event with the Chamber. 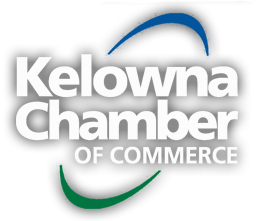 The Chamber hosts over 50 events every year - truly something for every type of business and member. As one of Canada's largest and most active Chambers, we are delighted to be able to offer members so many different and well-attended opportunities to promote their business, their staff, and market their products. Remember: we often design sponsorship levels around your needs - just ask, as we will work with you to maximize your marketing budget. Don't forget - you receive a once-each-year sponsorship credit of between $50 & $250 based on membership level (except for not-for-profit memberships). Be sure to ask for it! Some of our sponsorship opportunities include: Luncheons, Annual Golf Tournament and Business Excellence Awards.